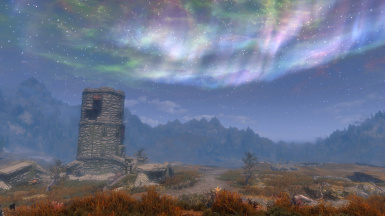 Have you ever wanted to control the weather, or turn the sky something beautiful like an aurora then this is the mod for you. 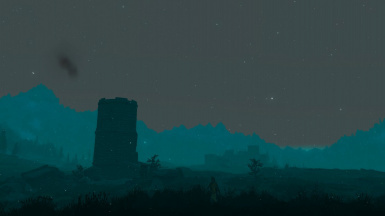 Meteorokinesis adds 11 new weather altering spells that allow to you to change the weather to whatever you desire the most. From rain to snow to sunny to a gorgeous view whatever you want you got the power to change it to whatever you desire! This is the perfect mod for people who like to take screenshots but don't like the rain wetting the camera, or for people with performance issues whenever it rains or snows. All spells are set to a cost of 250 magicka and a duration of 1 ingame day. Never spam any of the weather changing spells or try to overwrite them with eachother this could cause some issues! This mods adds the following spells to Alteration Magic. 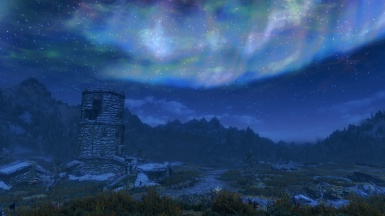 Blackreach won't dissappear if you use a different spell it only goes away if you wait 24 hours or fast travel to somewhere else! Where can i find the spells? 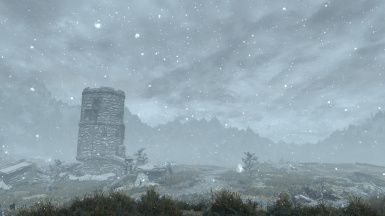 - The spell books are all inside a strongbox located near Farengar the wizard inside Dragonsreach whiterun. I don't see the strongbox in Dragonsreach? 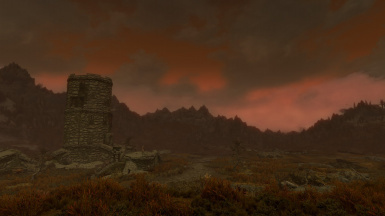 - Mods that change the interior of Dragonsreach could remove the strongbox simply place Meteorokinesis infront of all other mods to make the strongbox appear get the chest save the game and revert back to your original load order. Spells don't last 1 day? - This is due to the game engine always changing the weather at it's own will there is nothing i can do to change it. Does this work with x weather mod? - Yes, it should work with any of the weather altering mods out there. Drag and drop the Meteorokinesis.esp file into your Skyrim\Data folder. 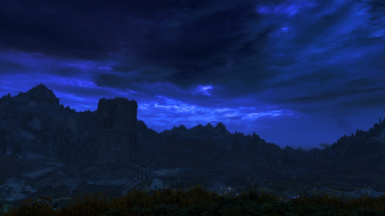 Just delete Meteorokinesis.esp in your Skyrim\Data folder.